With spring in the air, many people turn to the idea of spring cleaning. With the warmer weather comes a desire to shed—decluttering from a long winter, out with old, in with the new. 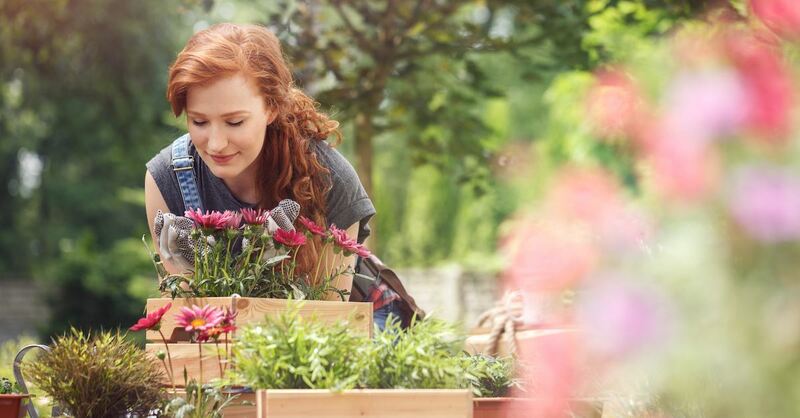 While you’re in the mindset of getting rid of the clutter and other things you store unnecessarily, spring could also be a time at looking at cleaning your own house. Deep inside. There are things that clutter up our own lives, which we carry out of habit or familiarity—our baggage if you will—and they can be evaluated for value or thrown out as well. While I was researching my new novel, I talked to many people about the concept of hanging onto things that were cluttering up their lives. Their baggage. For many, it’s the same process as spring cleaning—looking at those things they no longer need but still hang onto without knowing why, or just finding they’ve accumulated far more than they realized. But this is far more important than reducing the clutter in your home. Spring cleaning your soul is more than a tidy up for the upcoming months. It’s about freeing yourself for the longer term. In some cases, the longest term. Much of the talk around spring cleaning talks about the things you have that might clutter up your life. You know the drill: focus on what you need, evaluate if you’ve used that widget in twelve months. But the focus is on the stuff you collect. I’m not a clinical expert, but there are the three things I observed about people who collect the clutter, and why perhaps they do. Maybe you see others in these, maybe yourself? 1. Some people hang onto things because it’s easier than not getting rid of them. There is a phrase I use about baggage: The thing that weighs us down is not our baggage, but our decision to carry it. I’m sure you know people who you can see are avoiding dealing with something that’s holding them back. They’re the same as the person who piles up their unused stuff outside the back door of their home but it’s too hard to arrange for someone to come and collect it, or to take it to the dump themselves. Again, this is something Jesus spoke of. In Matthew 11:28: “Come to Me, all you are weary and burdened, and I will give you rest.” To me, this is an acknowledgment of what we need to lean on if things prove too hard to deal with on our own. If we are heavy laden with whatever it is we are carrying, the direction—and outcome—are laid out right here. Jesus offers support and rest, and importantly, he offers a safe place to start. Which, for some people, is the most powerful thing of all. 2. Some people don’t even know it’s there. Have you ever been to a friend’s house—maybe family—and tried to search for a way to encourage them to tidy the place up? Or maybe you hold your tongue out of politeness but share in their frustration as they can’t find anything? Have you ever had coffee with a friend and you can see with laser-like, pinpoint clarity the one thing they need to deal with in their own life? You can see they haven’t gotten over that relationship, or moved on from that past hurt, or need to forgive that person who cut them off in traffic, at work or in life. But they can’t. That’s an almost universal experience. Two things: firstly, it’s the same way with the things we carry inside. Baggage in other people can scream at us in flashing neon, but sometimes our own issues harder to spot. In the forty years I’ve warmed a church pew, that verse has regularly been used to describe hypocrisy or injustice. It’s not fair to point out the flaws in others when you’re not dealing with your own. But it also speaks to the fact that things are so much easier to see in others, to the point we are blind to our own massive chunks of wood but have 20/20 vision for the tiniest issues in others. 3. Some people pretend their baggage isn’t there. Let me tell you about the guy I played baseball with. Steve’s life was a mess. A soon-to-be-ex-girlfriend made him scream at his baseball teammates for the slightest indiscretions. His boss was threatening to sack him because of his anger issues. He despised any company sending him a bill and exploded whenever he was asked to make overdue payments. One day he implied something that had happened to him some years earlier and everything made sense. He’d been jilted by a fiancée at the last minute. And he was carrying that baggage around. Thankfully, I knew him well enough to commiserate with him and ask if he’d ever talked to anyone about it so he could move on. And then he exploded at me –the ex-fiancée was to blame for everything, and if he had baggage (which he felt was baloney anyway), then it was her fault. He was almost trying to punish her with the mess his life had become. His past was weighing down his present. And it was wrecking his future. Some people deny the things they’re carrying, and all that does is prolong its impact. So, when the first gentle breezes of spring drift in, consider the importance of spring cleaning more than just the clutter in your home. How do you start? Make a realization and accept things for what they are. Start a conversation with those who know you well enough to be honest with you in love. Pray for insight and be ready for the answers. There is value in spring cleaning your soul, and far more value than just a tidy-up. David Rawlings is an Australian author who entices readers to look deeper into life with stories that address the fundamental questions we all face. 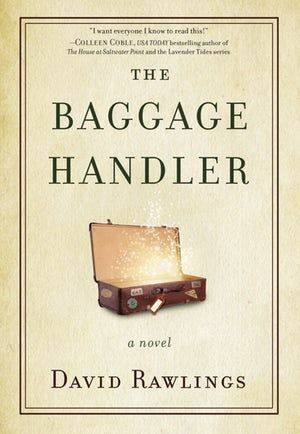 His new novel, The Baggage Handler, releases March 5 (Thomas Nelson). Learn more at www.davidrawlings.com.au.